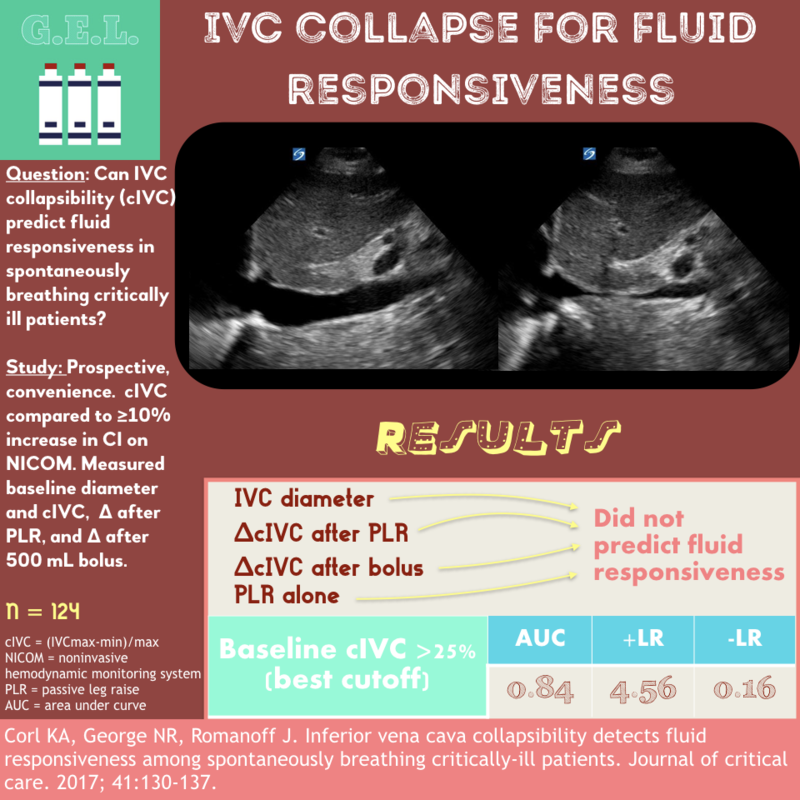 Ultrasound of the IVC is the people's volume responsiveness test. The idea is that you can non-invasively tell if a patient will benefit from getting more IV fluids. Everybody wants this to work so we can have a simple test to help us in critical situations. 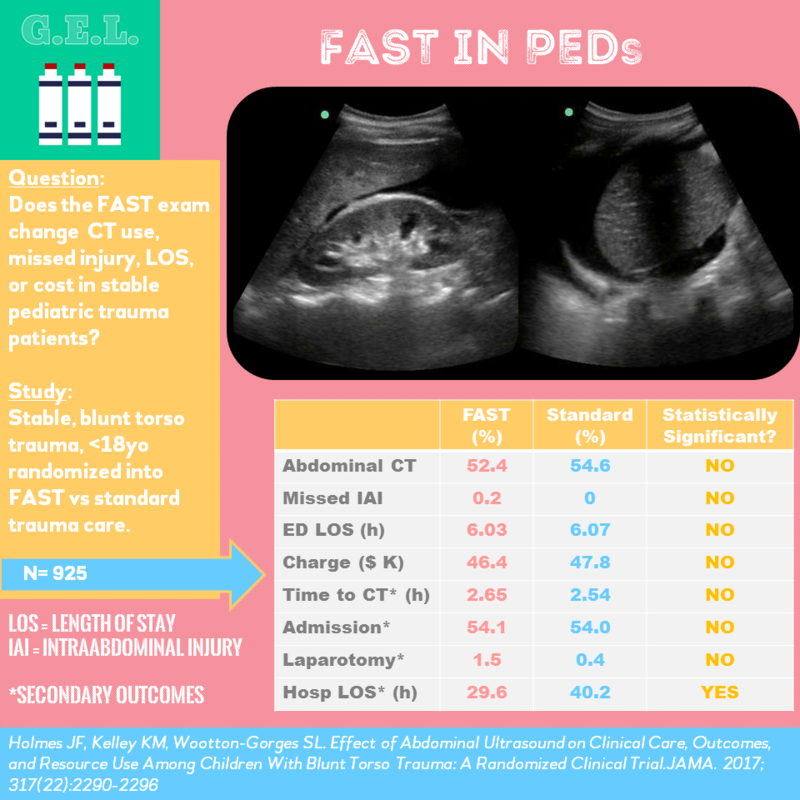 It is more reliable in mechanically ventilated patients with a fixed tidal volume but how about the non-intubated patient? Can we trust it? Regional Anesthesia versus Procedural Sedation - a Randomized Control Trial! You are treating someone with a shoulder dislocation. You have a few options that can be used to help put it back where it belongs: A) Procedural sedation - the old standby. B) Intraarticular injection - some people love it, some hate it C) Relaxational maneuvers - sometimes feasible, and, last but not least D) Regional anesthesia - the new kid on the (nerve) block. 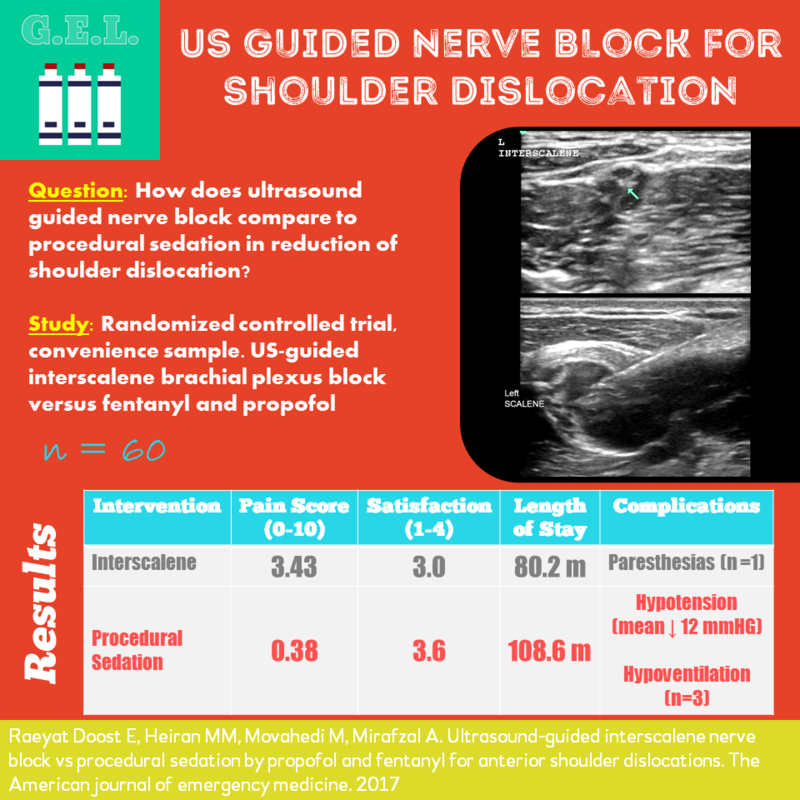 This study compares procedural sedation to regional anesthesia with an ultrasound guided interscalene nerve block for the outcomes of pain and length of stay (and a few other things too).